Live weather data from the Newton Rigg and Newby weather stations. Click on either station on the left hand side. Your browser does not support iframes and hence the data is not available The ‘MOPS’ data relates to the Mitigation Options for Phosphorus and Sediment 2 project. The EdenDTC team have been working with the Meteor Data Centre to store monitoring results and create graphical visualisations of the data. 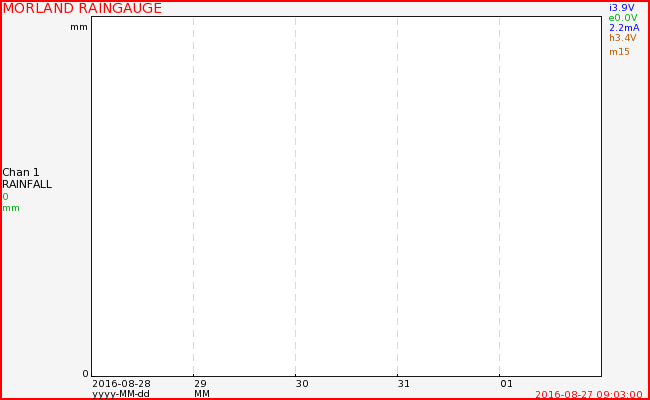 These graphs show the rainfall from the rain gauge at the Newby Catchment, Cumbria. These graphs show the rainfall from the rain gauge at Pow Catchment, Cumbria. 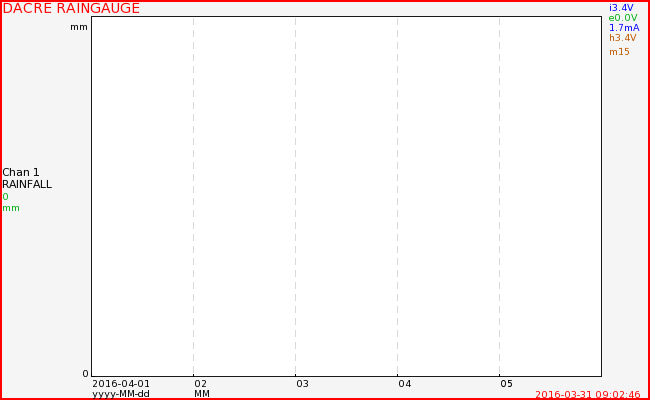 These graphs show the rainfall from the rain gauge at Thackthwaite Beck Penrith, Cumbria.